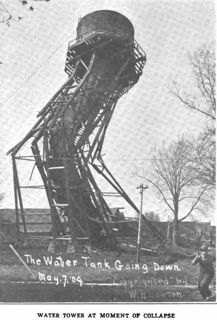 This entry was posted in Year 3 TDIWH and tagged collapse, drinking water, water, water history, water tower on July 7, 2015 by safedrinkingwaterdotcom. Amazing photograph! Really makes the story even greater.